Tiburon Residence — DomA Architects, Inc. 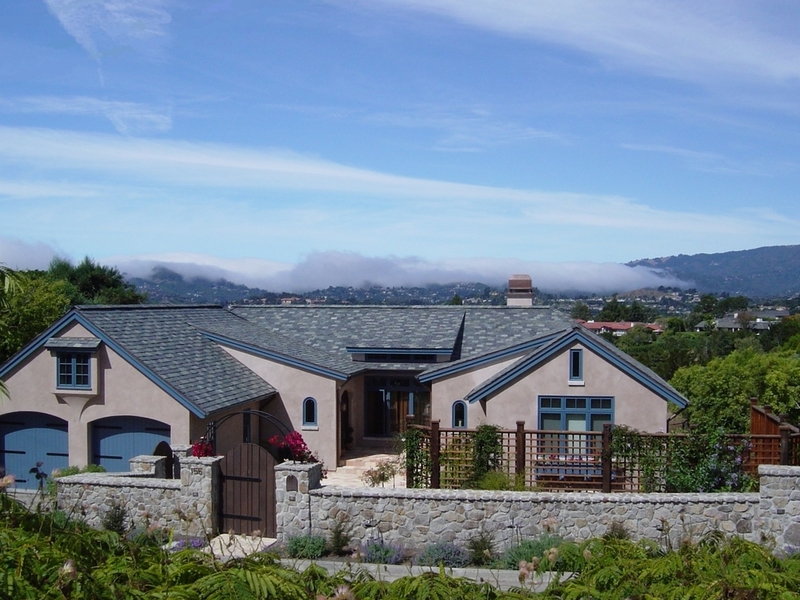 Located in Tiburon, this home was designed for a couple who wanted the look of a charming sea side cottage, similar to homes seen in Carmel, but were also looking to start a family and needed all of the modern conveniences and space to grow. DomA worked closely with the clients to create a design that maintained their desired aesthetic of a sea side cottage that also functioned as practical living spaces. DomA also responded to the grand scale of the site’s panoramic views of the Bay and Mt. Tamalpais. The stone base, integral color stucco walls, limestone sills, slate roof and copper gutters all reflect the timeless beauty of a house that will stand the test of time.